I CAN’T HELP BUT FEEL THAT WE ARE WATCHING A PERFORMANCE THIS WEEK. It feels like the actions, the meetings, and the statements are all very scripted. It seems reasonably clear which ending they are going for, but many of their actions also fit the “alternative” ending so it remains imperative to be cautious. Last week, for the first time, the EU seemed to be able to muzzle the minor players and even limit the lines of the big players. The Finance minister summit was a failure. Nothing useful came out of it. EFSF was a total flop. The bank backstop plans are at a national level and revolve around the idea of getting banks to borrow even more in the short term and not extend their maturities. In spite of the obvious failure, there were relatively few comments. Rather than getting headlines of disputes, or even headlines of bigger and better ways to leverage, they seemed to let it die a relatively calm death and move on. This was a chance for every finance minister to get their quotations in the news, but they seemed reasonably constrained. There were far fewer comments about the ECB or even from ECB members. To me, it seems that the big players (Merkozy and Draghi) have taken control of the play and are trying to get it to the ending they want. Germany took great pains last week to distance themselves from ECB decisions. The speeches made it clear that the ECB should be “independent”. This has been taken as a sign that Germany is relenting on letting the ECB print. By affirming the ECB’s independence, Germany can, in theory, explain that it wasn’t responsible for the printing. There is also a chance that this is a way to take the blame off of Germany if the ECB decides not to print. That seems less likely, but not everyone, especially at the ECB, believes printing is a solution, so this could be a way for them to take the focus off of Germany’s “nein”. According to the script, Merkel and Sarkozy will become the Merkozy again tonight so that they can ride into this week’s summit with a “renewed joint focus”, blah, blah, blah. There is no way that they don’t act as though they have some agreement (even if they don’t). We won’t know what is discussed, we won’t know how much time is spent working out plans for a summit failure, all we will get is another handholding moment meant to encourage the market. I suspect that more time “off screen” will be spent discussing preparations for a failed summit, but all we will see is smiling confident faces. At this point, I will give the politicians some credit. For the first time in months they seem to be writing the script. They aren’t just taking whatever script Wall Street hands them, and trying to act that out. The Wall Street scripts haven’t worked and have been unbelievable. The politicians are finally taking control and trying to develop their own plan, and selling Wall Street on how viable it is. Since they are politicians, they are actually trained at figuring out what can get done and selling it to the people. It probably won’t work, but at least they are doing what they are good at, and it would be hard to do worse than listening to another round of self-serving Wall Street advice. On a refreshing note, at least we have agreement on something, Wall Street and politicians now both think the other group doesn’t understand anything and has no sense of timing. The “puppets” are pushing through austerity in Italy and Greece. They can be held up as shining examples to other countries of what needs to be done. They aren’t the heroes of the story, but are there so that the Merkozy can point them out and show that i) it can be done, and ii) when it is done, the EU and IMF will come through with additional funds. The “it” they got done won’t be well defined (but this is a movie, not the real world anyways) but the reward those good countries receive will be highlighted. So the meeting will have Merkozy telling the smaller and problematic countries what a great future lies ahead for the eurozone. They will talk about the sacrifices they are making to ensure the viability of the future. There will be no criticism of the plan as only “friends and family” reports will get the inside scoop, and the “trailer” will be played over and over as part of the advertising campaign. We, the audience, will suspect that all the best parts of the play are in the “trailer” but we won’t be able to dig deep enough to argue against it. The puppets will tell the other countries how happy they are that they have finally adopted austerity with growth to move forward and that they are excited about this opportunity to be part of the renewed commitment to the eurozone. Anyone who tries to figure out how austerity and growth work together, or where the money is coming, or any other details, will be escorted from room, and will be Clockwork Oranged into reading “fringe blogging websites” until they accept that details are bad, and only vague notions and slogans can “solve” anything. At the end of the day, any holdouts will get invited to special meetings with the Merkozy. This is where they will be asked what they want to get in order to support the agreement, and reminded, that it is only an agreement in principle so they might as well say yes now, and they can always reject it later. These dark little meetings where the bribes are given and the futility of the agreement are discussed will only be available on the director’s cut, but will make people cringe when they realize what went on. So in the end, according to script, everyone will get a chance for a joint communiqué and photo up where they talk about their commitment to implement these progressive changes. Every person who truly thinks about it for more than a minute, will know that it is a sham. They will see what has gone on, but it won’t matter. The “critics” will fall all over themselves to proclaim the success of the summit and that we are witnessing the birth of a new and better Euro. For a few days at least, the airwaves will be filled with the excitement that the “great leadership” exhibited by the Merkozy, and the diligence of the puppets, has led to such a monumental agreement. The future will be so bright, some might even “wear shades” when they discuss what has been accomplished. Tears wouldn’t even shock me. Then before anyone can complain that the positive reviews were bought, or that the script is flimsy, we will see the next wave of activity. This will be like a giant publicity machine, trying to turn a horrible movie into an Oscar winner through the sheer strength of publicity and graft. The ECB will cut rates by 50 bps. The ECB will announce further participation in the secondary markets and hint at the ability and willingness to print money. The IMF will announce some new programs. The EFSF will start participating in the primary market. Even the Fed might hint at future QE (if not actually doing anything). Then the leaders can sit back and hope their magic works. Hope that their story has been bought and that the markets can take off and that they won’t actually have to implement much. Yes, I think this is the key here. They know that the treaty agreement changes are unlikely to be implemented. They know the ECB has limits, that the IMF is going to struggle to do what people seem to believe they can do, they just hope that this is enough to give the markets so much confidence that they don’t have to do anything. A market that can swing 6% on a 50 bp rate cut, might be manipulated into going so high that confidence is regained, long enough to buy time. So far, the directors have rejected the alternative ending. They don’t think that America in particular is ready for a non Hollywood ending, but they are filming some scenes just in case. Fortunately many of the scenes are exactly the same as in the preferred ending. In the alternative ending, Merkozy and the puppets can’t convince everyone to go along with the communiqué. They can’t convince them that it is really meaningless so there is no point to disagree. Somehow the summit ends without the decision to move forward. WASHINGTON – This week’s big debt deal has left progressives despairing over a disconnect between Washington and the rest of the country that they say has possibly never been wider. Their concern arises from the fact that while the country suffers from a sputtering economy and a grinding jobs crisis, elected officials are celebrating the passage of a massive deficit-reduction bill almost guaranteed to even further slow the economy and cost jobs. For the weeks leading up to the agreement, Democratic and Republican leaders were essentially trying to out-austere each other. It’s that bipartisan enthusiasm for reducing the government’s budget – and the speed with which both parties abandoned a job-creating agenda – that left-leaning analysts say demonstrate how beholden elected officials from both parties have become to the rich, and how out of touch they are with the problems of the poor and the middle class. To liberal economists like University of Texas professor James Galbraith, the explanation lies in what he calls the Washington elite’s “deficit hysteria.” From this perspective, the spending cuts signed into law Tuesday were the culmination of the investment of hundreds of millions of dollars by moneyed interests into the development and inculcation of a specific Washington consensus that anyone who doesn’t believe the government is dangerously overextended — and who doesn’t consider the danger of deficits as very, very serious — is a wild-eyed radical. “The rich have drawn a political box around what can be done here,” said Damon Silvers, policy director for the big umbrella union AFL-CIO. “They are gutting the modern state in order to avoid a real conversation about taxes.” While Washington lauds its cuts, the traditional arguments in favor of deficit reduction probably have never been weaker than they are right now. None of the economic signs that augur for deficit reduction are remotely visible. Quite to the contrary: A high unemployment rate, enormous unused capacity, inadequate market demand, cheap capital and record-low interest payments, incipient deflation, crumbling infrastructure and underwater homeowners all point to this being an ideal time to increase government borrowing – to invest in infrastructure, provide debt relief to homeowners and generally increase demand and create jobs. With American banks and other businesses sitting on trillions of dollars they refuse to lend or invest, one can hardly accuse deficit-spawned borrowing of “crowding out” private loans. And with people lining up to lend money to the U.S. government for long periods of time at near record-low rates, one can hardly argue that the deficit is driving up interest rates. Thomas Palley, an economist at the New America Foundation, says Republicans’ focus on the deficit regardless of economic conditions is logically consistent because their core interest is limiting government. But Democrats have been brought in, too. The fully bipartisan nature of Washington’s deficit obsession was brought home in early 2010, when President Barack Obama created a commission to reduce the deficit and chose a pair of deficit hawks to be its leaders. “What is going on now I think has everything to do with the fact that you have almost a second generation of deficit obsessives who occupy all the strategic positions in public policy discourse,” said Galbraith. And over time, Democratic leaders haven’t just embraced deficit reduction as a goal, they have explicitly bought into government austerity as the primary solution. There is, of course, another way to reduce the deficit: Stimulate economic growth and grow out of it. “We have a huge deficit because we have a huge recession,” said Larry Mishel, head of the left-leaning Economic Policy Institute. Democrats could have, as an anti-deficit strategy, decided to put all their energy into pushing for a pro-growth agenda. But they chose not to. Last November, when Obama decided to make a statement about the deficit, he did so by freezing pay for federal workers. There’s going to come a time when the US government is forced to face its economic reality and make some incredibly deep cuts that would be felt across society, from Wall Street and the military industrial complex to project housing on the other side of the tracks. The first option (keeping the party going) is what has been happening for years. Politicians make small concessions to show they’re “serious” about fiscal discipline, cutting laughably small programs while dumping hundreds of billions of dollars into wars and entitlement programs. The worse the debt situation becomes, though, the higher the borrowing costs become, and the worse the debt situation becomes. It’s not an enviable position. Existing lenders will continue backing away from the US Treasury market, giving option 1 a half-life measured in months at best. In the longer term, only options 2 to 5 remain: inflation, austerity, default, and cannibalism. Each of these remaining options will shake the financial system to its core. More importantly, each of these has the power to create widespread social upheaval. There are a number of other manifestations, and many are already showing signs of emergence. The US and European police states are alive and well. Crime is on the rise. In Europe, cops are doing battle in the streets with their citizens. Think it can’t happen in the US? Remember tanks in the streets during the LA riots? Remember New Orleans? Remember any number of G8/G20 protests? Here’s the bottom line: all you have to do is glance at the headlines to see what happens when you strip people of their livelihood, of their ability to put food on the table for their families. The US has been able to kick the can down the road with the most blunt social implications simply because the country benefits so much from a US-oriented financial system. This is coming to an end very, very quickly. As a rule of thumb, the greater the economic distortion, the harder the collapse. The US economy has been in a fantasy world for so long, and when its dominant primacy is yanked away, the collapse will be at freefall speed. I’m not talking about the end of the world here, I’m talking about difficult times ahead, and the things that go beyond economics. It’s time to face facts and look at how society will change (and has already changed). Don’t even try it. Don’t even go there. You owe us the interest and … you … will … pay! We tend to go back and forth regarding the world’s larger financial fix. We have arrived at the idea, eventually that the Anglo-American power elite responsible for the mess wants to push Western citizens as far as possible without setting up full-scale revolutions. The idea is simply to afflict Western Middle Classes with such misery that they will not notice when their countries’ sovereignty is removed in favor of a One World Order. The best way to do this is to keep people distracted and miserable – hovering on the edge of foreclosure, food insecurity and professional oblivion. In Europe this has been accomplished by ensuring that many countries have borrowed far more than they can pay back, thus ensuring generations of “austerity” (assuming that Europe’s young people don’t revolt against the prospect). Hey, it’s a fine line. America has been a tougher nut to crack. 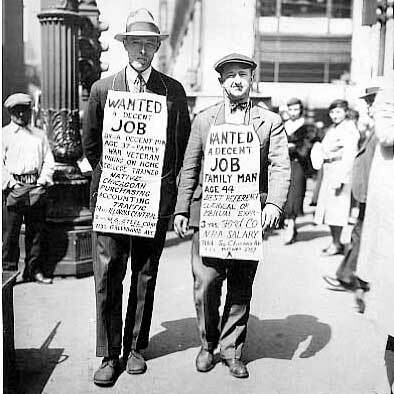 Americans come from hardy immigrant stock and have tended to be thrifty and hard working, certainly in the past. The Anglo-American power elite has been at work for decades to ensure these admirable qualities are subdued. Result? America’s finances are a mess. The US deficit is scheduled to reach $1.4 trillion, and the U.S. Treasury Dept., responsible for funding it, needs to borrow more money than it is authorized to do. Republicans in the House and Senate have seized on the opportunity to demand that the Obama Administration agree to significant cuts in spending. The Democrats, for their part, warn that using the debt-ceiling to enforce frugality is a most dangerous strategy, one that could virtually sink the United States’ credit. If the US cannot borrow, it will have to default on its debt payments, which would likely lead to some sort of devaluation of the dollar. Since the dollar is the reserve currency of the world, this would lead to significant tumult abroad. Financial markets remain steady, but that may not be the case if the stand-off continues. Republicans, Reuters informs us, have been working on the theory that bondholders would put up with a delay in payments in return for a bipartisan deal that would lower US spending and make the country stronger in the long term. According to Reuters, central banking officials around the world are less sanguine about the ramifications than Republicans are. “This could then create huge panic globally,” Reuters quotes one Indian central banking official as saying. At the same time, India’s Treasury officials continue to buy and hold dollars. The government held US$39.8 billion in U.S. Treasuries as of March. Of course, Reuters doesn’t mention that countries HAVE to buy dollars in order to purchase oil from Saudi Arabia, which will not accept anything else. This is how the dollar’s reserve currency status is enforced. We’re not so sure as Gangming that the “possibility is high” that the US will default, or not seriously anyway. The House is led by Ohio Republican John A. Boehner (about as radical as a mushroom). Boehner is one of a handful of elite politicians, one of the most powerful men in the world thanks to his position as Speaker of the House. The idea that John Boehner will lead a radical restructuring of America’s finances does not seem especially feasible to us. Of course, a good deal of pressure is being put on Boehner by the Republican-oriented Tea Party, and perhaps this will serve to shove the Republicans out of what would otherwise be their comfort zone. Hard to tell, really. What is more significant from our point of view is the message the Chinese are sending. The Chinese central bankers, like central bankers around the world are not willing to entertain an iota’s reconfiguration of America’s debt. It’s a kind of dominant social theme – a fear based promotion. We’re not sure it will hold, but the rhetoric is stern. We have seen the same sort of implacable rigor in Europe, where the ECB has been at the forefront of the fight to ensure that Greece and the rest of the PIGS pay ever euro of their increasingly unpayable sovereign debt. 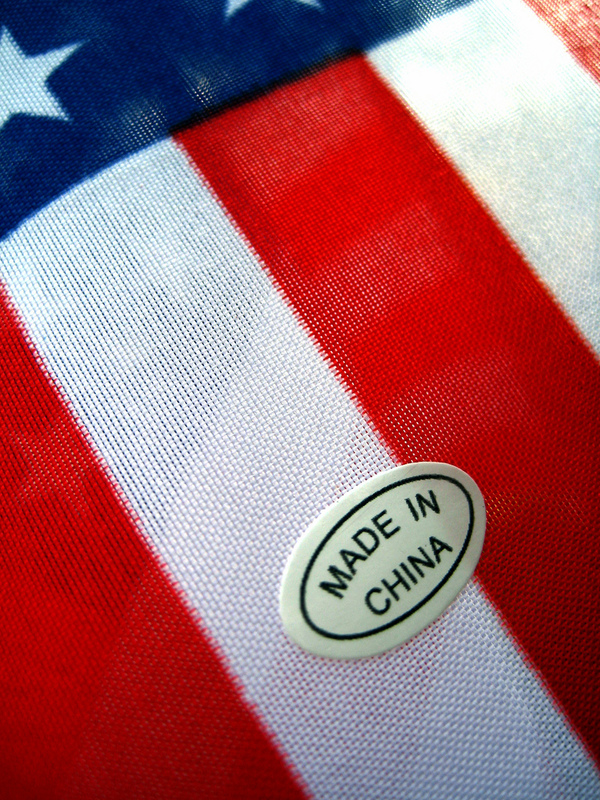 The mechanism of American austerity, then, is to be Chinese insistence on the immutability of American repayment terms. What the sovereign crisis is doing to Europe, the Chinese will do to America. In fact, American “austerity” is already here. The Chinese are providing the proximate cause, but increasingly we believe this was the plan all along. Britain is in the same fix, Europe is rioting, the Middle East has gone up in smoke and Africa is trending the same way. Surely this couldn’t be coincidence could it? We think not. The world’s economic system is controlled out of the City of London via the Bank for International Settlements (based in Switzerland) and over 100 central banks around the world. The Anglosphere elite that constructed this system knew full well it would self-destruct over time. They knew it in Europe, too. In fact, it has been admitted. The Eurocrats knew that the current system was unstable and would break down. They intended to take advantage of it to build a more centralized system and in fact they are currently doing so. The wild card, as we have pointed out, is the Internet itself (and the truth-telling it provides), which we believe has destabilized Europe far beyond what the elites expected. They are said to be meeting somewhat unhappily in Switzerland today, as part of the annual Bilderberg affair. War is supposedly on the menu, along with selecting an IMF chief – and stabilizing Europe. There is to be austerity, yes, but not revolution. In America, austerity is coming, too. The Chinese and perhaps the Japanese (and other creditors) will demand it. But the same realities hold for America as for Europe. There is perhaps a limit to what people will put up with, a limitation reinforced by the Internet Reformation. We have no doubt that a chaotic financial situation around the world was intended to increase pressure for a more centralized currency – and for more centralized bank regulations, etc. We are not so sure the current plan will hold. Will the elites get their chaos? They might wish to be careful what they wish for. Some say that QE3 won’t happen. The U.S. is done with stimulus and force-feeding liquidity and inflation down the world’s throat. Okay, it’s austerity then. How much austerity does anyone think we’re going to have here in America? What is the critical mass and when will we reach it? How much inflation can our creditors handle before they reach their critical mass and have to allow rates to rise? Paradoxically enough, the real question has become ‘can we afford austerity’? I believe the answer is ‘not anymore’. Due to relatively recent events, austerity has become a mathematical impossibility. QUANTITATIVE EASING IS NOT TECHNICALLY “MONEY PRINTING”. However, it did accomplish scaring everyone out of dollars and into “riskier” assets. So, while we didn’t print much, emerging economies certainly did as people ran screaming from the U.S. dollar. The result of which has been rampant inflation all over the developing world and near parabolic gains in commodities and equities. We’re left now with a dangerously deflating economy here in America while our creditors are heavily overheated. Not many people have much confidence in what QE or stimulus have accomplished. Our banks have fresh new reserves they can’t and won’t lend while our employment picture remains increasingly grotesque. With QE2 ending, negative real interest rates and emerging markets unable to afford more inflation, how does the future look for U.S. government bonds? When rates rise, what of the outlook for equities and for the economy as a whole? If the economy stalls and people want to hold onto their precious cash, business will suffer and who will fund our local, state and federal governments? If our government programs can’t function, and people start to worry about their grandmothers, their pensions and their grandmothers pension, what will happen? Austerity? Not over our Masters of Debt’s (MOD’S) dead bodies! But when will we reach critical mass? Why will congress and the fed absolutely intervene? When you figure it out, it seems almost comical to have ever believed otherwise. Simply put, that’s their nature. Nowadays, it’s what they are designed to do. Given current events, they truly have no choice whatsoever. Did Volcker raise rates way back when? Yes. Are they sort of attempting austerity all over the world? Well, kinda. But that’s not what’s happening here and now. It won’t happen…not for long. Tightening might come from the emerging markets, but not from us. Just as credit card addicts rarely cut themselves off, we’d sooner end this easy money regime as collectively give up cheap oil. 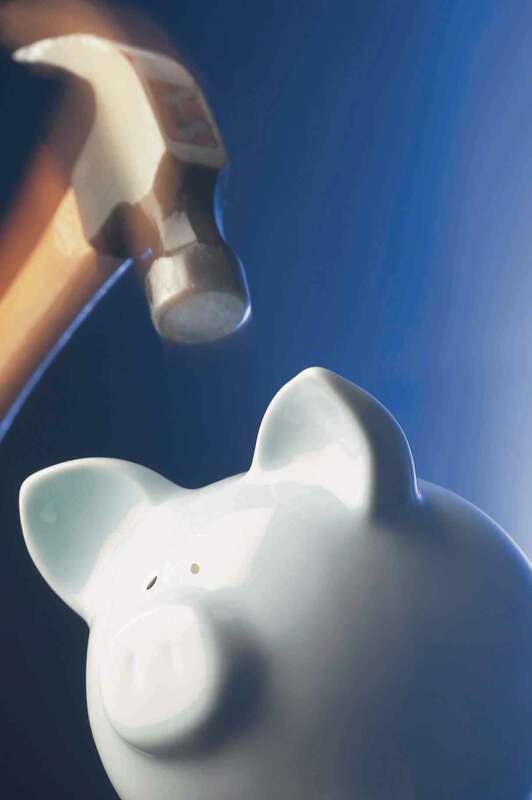 In severe debt situations, the creditors usually do the tightening, not the debtors. What environment will that conflict produce? When congress and the fed stimulate, ease and shuffle around assets and liabilities in a compounding vortex of fear and arrogance, how will our creditors react when they don’t have a choice anymore? The first point of critical mass will be when the austerity is no longer tolerable for the government. The second is when emerging markets are forced to let their currencies appreciate. The critical question is whether this can occur in an orderly fashion or not? I think not. Our economy is so over-leveraged that austerity simply isn’t an option. There was a tipping point where the cost of providing tolerable austerity became too expensive for the world to afford. That is the main concept to understand. The bizarre fact is that we couldn’t financially achieve a hard money stance if we tried. Unfortunately, this is a somewhat recent development. DEMONSTRATORS POSING AS LIBERAL Tea Party members disrupted service at banks across the country on Saturday, in an effort to spotlight the gimmicks multi-billion dollar corporations use to avoid paying their fair share in taxes. Imagine a parallel universe where the Great Crash of 2008 was followed by a Tea Party of a very different kind … Instead of the fake populism of the Tea Party, there is a movement based on real populism. It shows that there is an alternative to making the poor and the middle class pay for a crisis caused by the rich. It shifts the national conversation … This may sound like a fantasy – but it has all happened. The name of this parallel universe is Britain. As recently as this past fall, people here were asking the same questions liberal Americans have been glumly contemplating: Why is everyone being so passive? Why are we letting ourselves be ripped off? Why are people staying in their homes watching their flat-screens while our politicians strip away services so they can fatten the superrich even more? Hari evokes the spirit of UK Uncut – a movement made up of British citizens, who, in the face of brutal budget cuts, have sought to shame corporate tax dodgers through public demonstrations – and suggests Americans follow suit. U.S. Uncut is doing just that; though many members of the group have disowned the title of Tea Party, telling HuffPost that while they were inspired by the article in The Nation, they do not want to be identified as an opposition group. Saturday marked the group’s first coordinated event. A rally in San Francisco drew scores of protesters to a branch of Bank of America at Union Square; dressed in ordinary street clothes, they filed into the bank one by one, getting in line to speak with the tellers. Each of them carried a fake check from Bank of America made out to “The United States c/o Tax Paying Citizens,” for $1.5 billion. 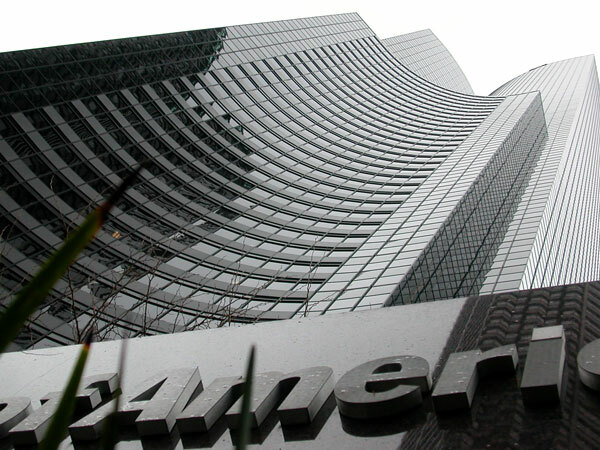 The sum would cover all the bank’s unpaid taxes on its 2009 earned income of $4.4 billion, demonstrators said. After denouncing the bank to a cheering crowd and calling its executives “bloodsuckers” for accepting bailout money and refusing to help the suffering homeowners they “preyed on,” Williams was stopped by security guards at the door and told the branch was closed. The mob then chanted “open the door” until Williams was let in, at which point he closed his account. Williams told HuffPost that when campaigning in New York City, he met at least two people on every block with mortgage troubles. He said he doesn’t want the bank to use his money to “further deteriorate the community” he represents, especially in light of chief executive Jamie Dimon’s recent $17 million bonus. 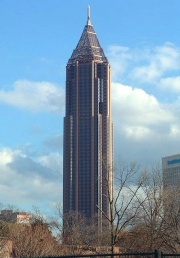 The Bank of America Plaza is a skyscraper located in Midtown Atlanta. Standing in at 312 meters (1023 feet), it ranks as the 20th tallest building in the world. It is also the tallest building in the United States outside of Chicago and New York City, and the tallest building in any US capital city. It has 55 stories of office space and was finished in 1992, when it was called the NationsBank Building. 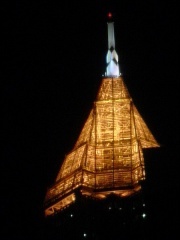 Spire of the BoA Plaza: There is a large pyramid-like spire at the top of the building, most of which is covered in 24-karat gold. This causes the spire to glow at night like an orange Christmas tree. Angela Merkel is carefully observing what can only be classified as a peaceful revolution in Ireland, where a stunning amount, over 70% by some estimates, of voters turned out to punish the ruling Fianna Fail party for its betrayal of the Irish people and for the latest (and what some say last) broad banker bailout. In other words, the Irish people have voted for a direct confrontation with the EU, and indirectly, for austerity: “Fine Gael leader Enda Kenny, likely to become prime minister, wants to re-negotiate the interest rate on the emergency loans and speed up planned spending cuts to narrow the budget gap. Labour is pushing for more tax increases.” And the reason Merkel is not going to sleep much tonight is that Germany is next. Funny nobody even pretends that modern economics is even a remotely viable concept. Also, the Fed’s plan of keeping the USD artificially low against most currencies is about to crash and burn mercilessly.